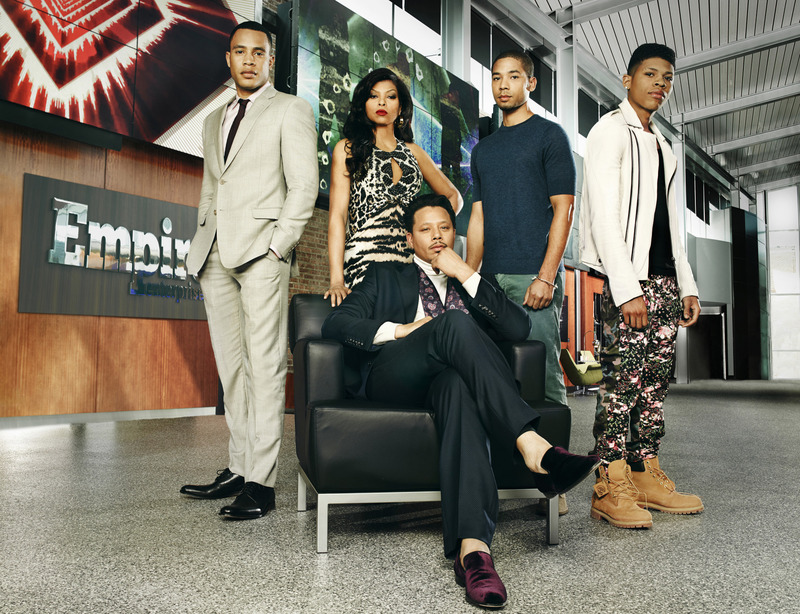 It&apos;s nigh-impossible to overstate the success of Fox&apos;s Empire in its first season. It debuted to higher ratings than expected. It improved on those ratings the next week. And the next week. And for several weeks afterward, peaking last week with 14.9 million viewers and a 5.8 share in the advertiser-coveted 18-49 demographic. Wednesday&apos;s two-hour finale promises to improve those numbers even further. Those numbers are insane in the modern era of watch-later, DVR-friendly programming. Throw in that a program growing every week it&apos;s on the air, plus other successes outside of the ratings game (like the soundtrack beating Madonna&apos;s Rebel Heart to No. 1 on the Billboard 200 chart this week), and you&apos;ve got more than just a powerhouse TV show. The Empire brand is a cultural phenomenon, and a huge coup for not just Fox, but for television as a whole. Cultural phenomena don&apos;t originate on TV anymore. Sure, there&apos;s the occasional niche show that breaks out in a big way — The Walking Dead is one of the only shows on TV with ratings to rival Empire&apos;s, and it has spun off into the video game world. But an honest-to-goodness, people-won&apos;t-stop-talking-about-this sensation? That&apos;s left for movie franchises like Avengers, or performers like Taylor Swift or dresses that change color. TV shows are relegated to smaller audiences of devoted fans; even the once-immortal American Idol has been brought to Earth in recent years. Empire&apos;s numbers suggest it&apos;s crossing over in a big way. But on greater reflection, that shouldn&apos;t be a surprise. Writer Danny Strong, who co-created the series with Oscar-nominated director Lee Daniels, noted in a New York Times profile of the series that "great successful TV shows are about families." He lists Dallas and Dynasty as examples, but that could stretch even further into other genres. Think of comedies like All in the Family and The Cosby Show, or animated series like The Simpsons and Family Guy. One of the first great reality shows was The Osbournes, about Ozzy and Sharon Osbourne&apos;s family. Family TV has a rich history — and, surprise, the shows do well. It&apos;s hard to think of a show like Empire, with a character as colorful as Taraji P. Henson&apos;s Cookie "You want Cookie&apos;s nookie?" Lyon, as family entertainment, and yet it makes sense. The most broadly successful shows do well appealing to a wide range of ages and audiences. Empire&apos;s most black cast is another way the show appeals to a wide viewership, much like ABC&apos;s Scandal and How to Get Away with Murder. And unlike Dallas and Dynasty, throw-down brawls between bitchy women aren&apos;t the main attraction. The characterization is as deep as the plotting is quick. It&apos;s good fun, but not trashy — it gives a bit more than what&apos;s on the surface. All that said, Empire has an uphill road ahead of it in season two. The path to a successful second season is paved with good intentions, but often falls short. Revenge and Scandal, two of the buzzier hits of the past few years, suffered major dips in quality the years after their breakout seasons. (Scandal broke out in its second after a short first season, but couldn&apos;t maintain its breakneck pace in the third.) Keeping up with expectations is a challenge — one not to be taken lightly by Daniels and Strong&apos;s team. Unlike Revenge and Scandal, which produced episodes even after they exploded, Empire filmed all but two episodes before even the premiere aired. In an interview with Vulture, showrunner Ilene Chaiken said nothing would have changed even if they had known about their success, but it&apos;s easier to say that when looking in the rear view mirror. Hype and attention can be hazardous for a show — just ask Glee showrunner Ryan Murphy, who overloaded the second season with guest stars in a bid to fulfill audience expectations. A worrying sign: Oprah Winfrey and Common are slated to guest in season two of Empire. Still, if Empire can stick to strong character development, give Henson plenty of material to chew up and spit out and keep creating great music (recent song "Conqueror," featuring Estelle, did very well for the show sales-wise), it will be fine. There&apos;s less of a worry of Empire going off the rails, because Daniels&apos; aesthetic is a bit off the rails. If you break down individual story beats in Empire&apos;s first season, some make no sense — but that&apos;s OK because the show moves too fast for you to notice. Empire is a laugh riot. It&apos;s a gripping drama. It&apos;s an emotional family show. It&apos;s never afraid to try new things. That&apos;s what made it a success now, and it&apos;s what&apos;s going to keep it going next year. The TV rat race is Empire&apos;s to lose next season, but it&apos;s sitting pretty atop the heap for now. The two-hour finale will just be a victory lap.